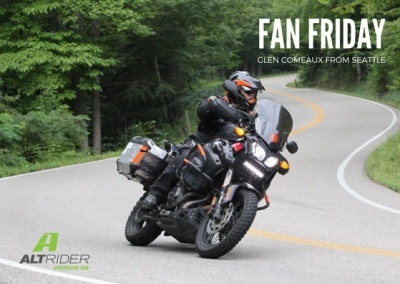 Our Featured AltRider Fan for today is Glen Comeaux. Glen says he became acquainted with @AltRider because he is also from the greater Seattle area and "AltRider is well known in the ADV market and are extremely supportive of our PNW Tenere Owners Group." Glen adds that he likes #AltRider because "(They are) a small / young company that puts a lot of thought and effort into their designs that are MADE IN THE USA!"